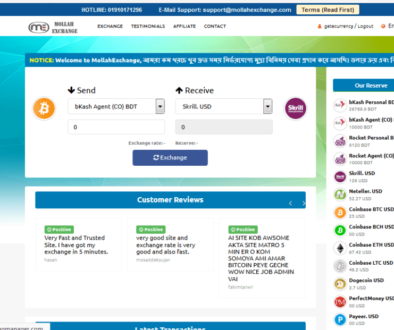 Classic exchange is a reputable exchange service providing exchange services since 2008. 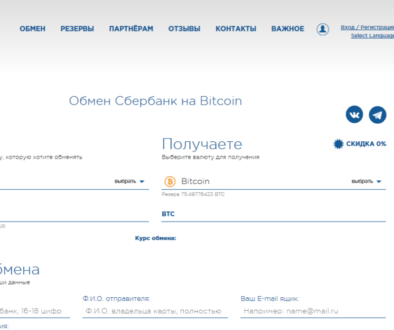 We offer exchanges to and from mostly difficult routes such as Skrill, PayPal, Revolut and Bank deposits. 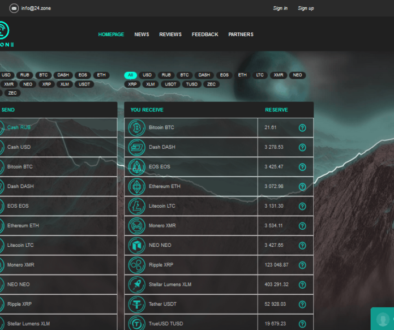 We deal with BTC, Ether, Perfect Money, Advcash, Payeer and a whole lot of other cryptocurrencies. 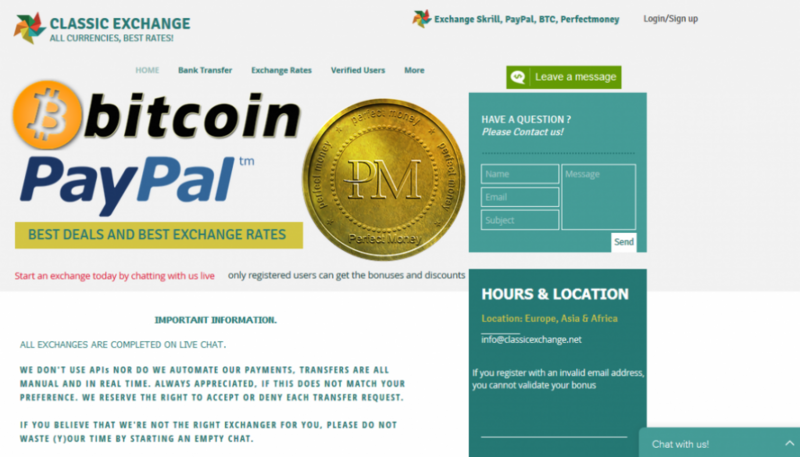 We choose to complete our exchanges via live chat and always guarantee the best rates and customer satisfaction. Every registered and verified user earns exchange points, which they can in turn redeem to PM and BTC Our customers trust and love us, and we’re always working hard to provide the best available exchange services. Country :United Kingdom, Ukraine .